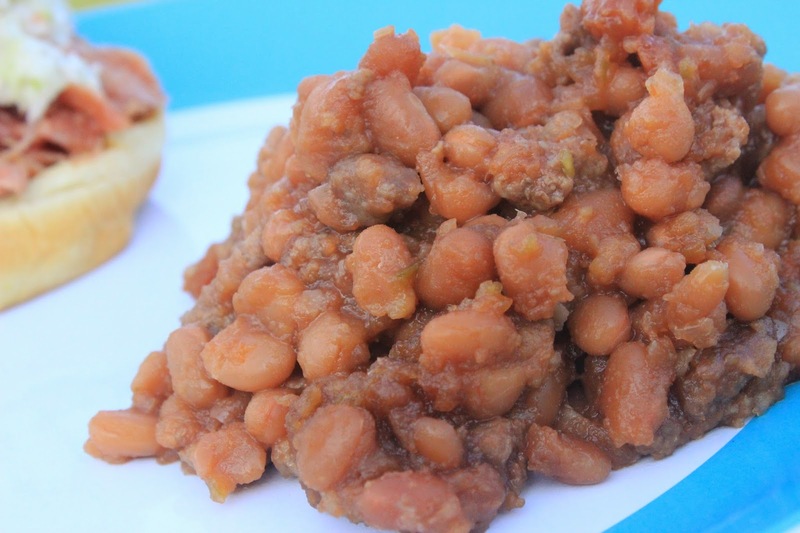 Do not let the sloppy look of these baked beans scare you away. They are absolutely AMAZING! I think my husband could eat them all day everyday if I would let him. My husband and I moved into our new home in January. We are so grateful for the new season and beautiful weather because we can finally enjoy our new yard! We have a ton of rooms for guests which means I want to have plenty of cookouts! The other day started with my sister in law coming to visit. 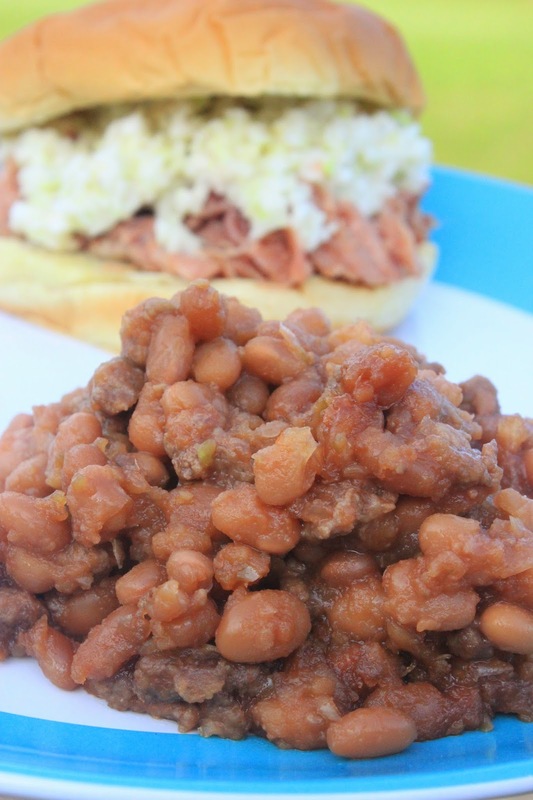 I made pulled pork barbeque sandwiches, homemade coleslaw, fruit, butterfinger cake, and these delicious baked beans! It was a hit! 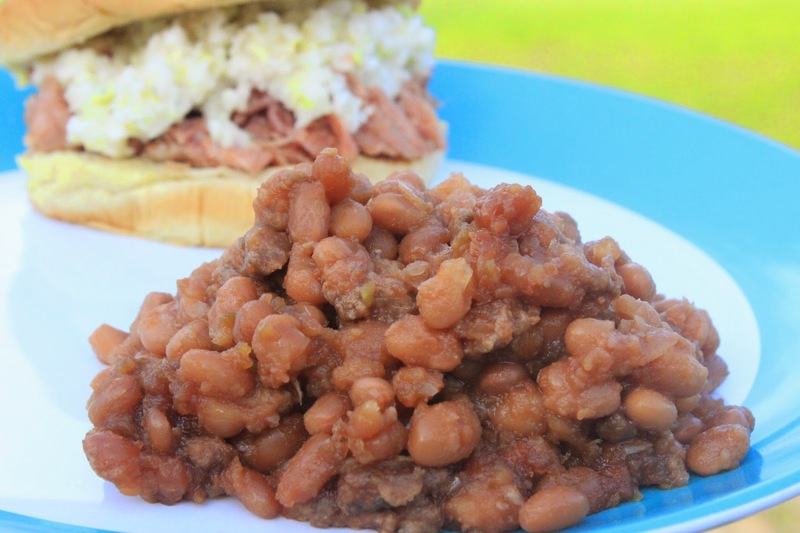 If you are attending or having any cookouts this season you need to make this recipe. I promise you will have people asking for the recipe! 1) Rinse and drain the pork and beans. Put into a large bowl. 2) Cook the hamburger until done. Drain and put into the bowl with the beans. 3) Add the peppers and onions. 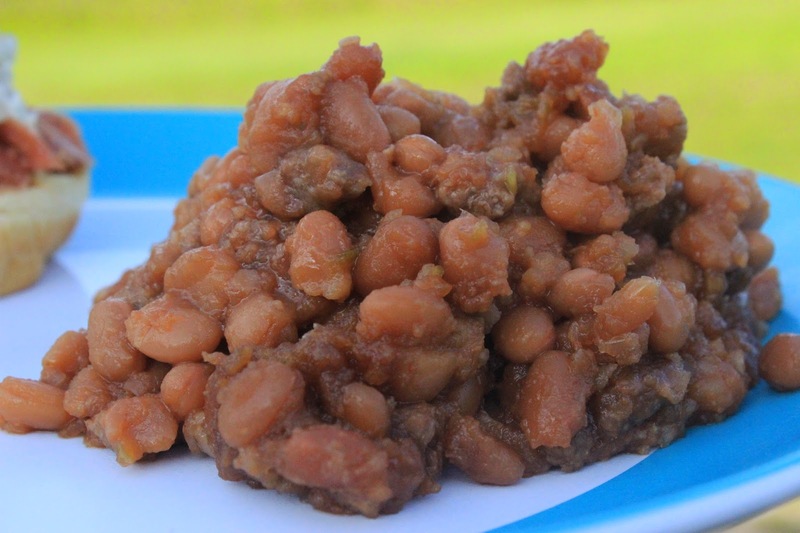 4) In one of the empty pork and bean cans pack 1 cup of brown sugar. Add the apple cider vinegar and stir until the brown sugar is liquid. 5) Fill the rest of the can with ketchup and stir until well mixed. 6) Pour the sauce in the bowl with the bean mixture and stir very well. 7) Pour the ingredients into a 8x13 dish. Cover the top with brown sugar and bake in the oven on 350 for one hour. This would be perfect for Labor Day! The perfect cook out side dish! We will have to make these for our next cookout!